Her sign reads “a women isn’t a person, but an icubator.” It’s appropriate that they’re wearing read. Communists have always hated families. 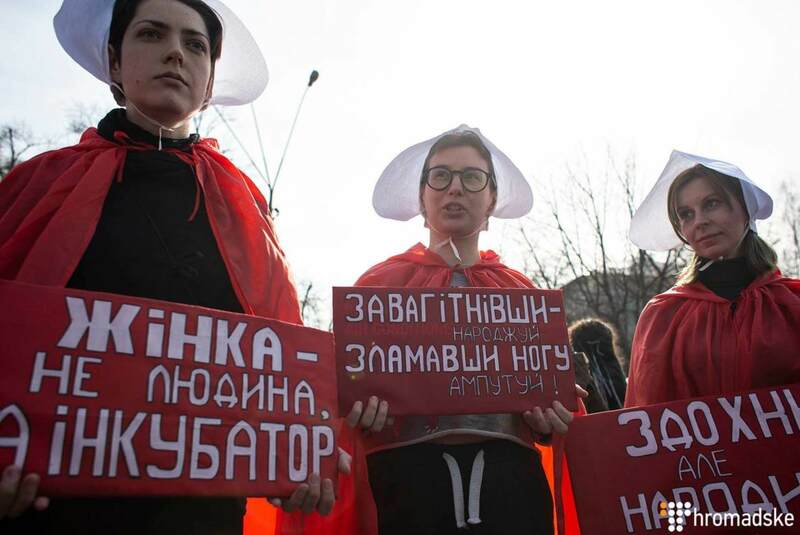 Members of the Sisterhood of St. Olha stood with placards of: “Feminism kills.” They refused to comment to Hromadske, stating that only their organizers can talk to the press. Over the megaphone they called out that they were in the name of the patriarchy and were waiting for the day feminists decide to join their Sisterhood.